The grant will enable Cal Lutheran to provide new paid student research fellowships and internships. (THOUSAND OAKS, Calif. – Sept. 28, 2016) The U.S. Department of Education has awarded California Lutheran University a $4.63 million grant to support students studying science, technology, engineering and mathematics. Most recipients of the highly competitive grants for Hispanic-Serving Institutions are public colleges. In 2011, the last time the grants were awarded, only two of about 40 recipients in California were private universities like Cal Lutheran. The university will receive $855,132 this year, and the annual amount will vary each year of the five-year grant. Cal Lutheran will receive an additional $1.46 million over five years for collaborating with Oxnard College on its HSI STEM program. The $4.63 million will enable Cal Lutheran to hire four staff members, start several new programs, provide paid student research fellowships and internships, and transform a building on campus into a hub for services to the rapidly increasing number of STEM students. The main goal is to improve retention rates for the increasing numbers of Latino and low-income students. 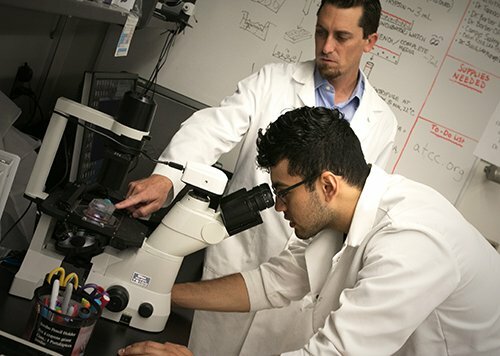 Latinos make up 28 percent of Cal Lutheran’s STEM students, but those who start out in these majors as freshmen are less likely to graduate in the majors than other students. The grant will fund a STEM Academy, which will provide continuous summer programs for cohorts of students called STEM Scholars. Incoming freshmen and transfer students will attend a three-week residential program on campus before classes begin. During subsequent summers, they will participate in paid research fellowships, internships and professional development activities. Faculty mentors will meet regularly with students to advise them on completing their degrees, building their resumes and planning their career paths. Studies show that faculty mentors are particularly important in retaining minority students. Peer tutoring will be centralized and expanded, and student-led review sessions for tough STEM courses will begin, benefiting all of the university’s students when they take science and math courses. Workshops for faculty, staff, tutors and peer mentors will cover best practices for teaching and advising underrepresented students. Cal Lutheran will also work to increase the pipeline of incoming students. A new transfer outreach coordinator will work directly with Ventura County Community College District students, counselors and faculty. The coordinator will help students interested in the STEM fields transition to Cal Lutheran and set themselves up for success. STEM Scholars will present activities at elementary, middle and high schools, and K-12 and community college students will have opportunities to participate in programs at Cal Lutheran.